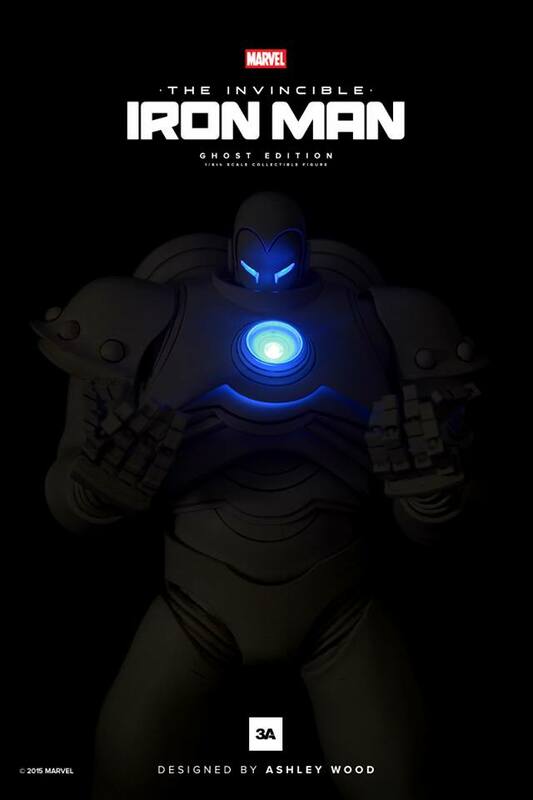 ThreeA is releasing another variant of their stylized Invincible Iron Man as designed by Ashley Wood. 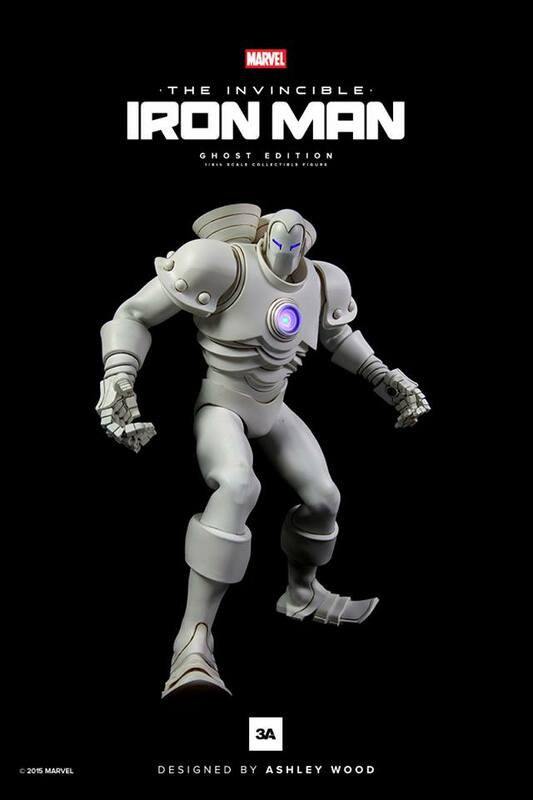 The Ghost Edition is colored all white but still features LED lights to illuminate its eyes, chest, and palms and rubber wrapped joints in its arms and legs. 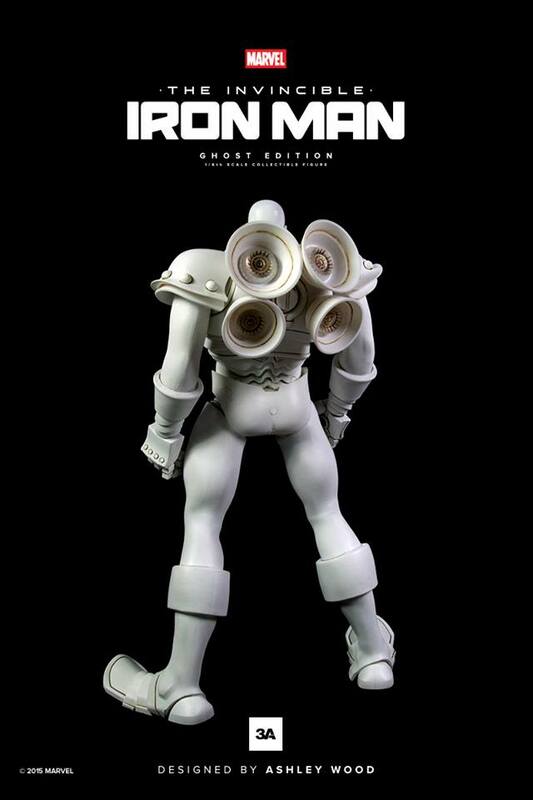 The figure is fully articulated and is 1/6 scale (34 centimeters tall). Preorders start in April 2015 with the figure expected to ship in 3rd quarter 2015. Its MSRP is $220 USD. 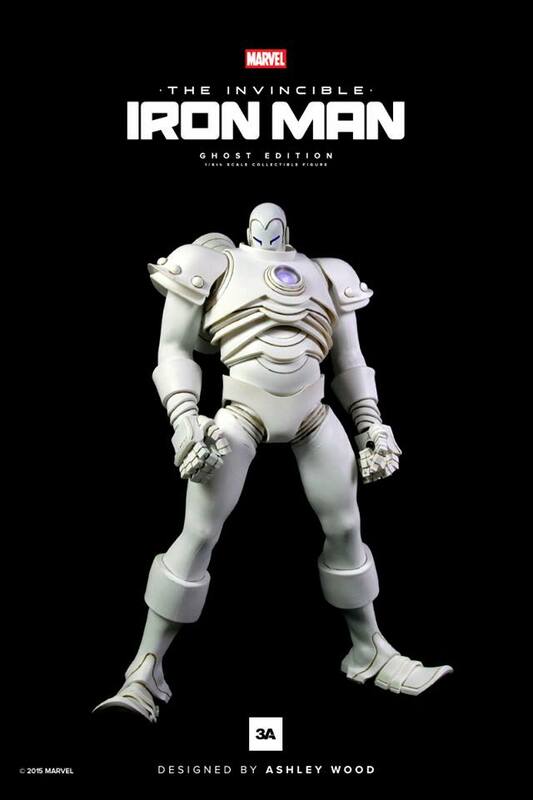 This Iron man design look way too plain and has very weird proportions, it's old school comic book style.